A few years ago, smartphone cameras were valued for their convenience rather than the quality of the images they produced. Now, smartphone manufacturers are putting much more attention into beefing up the cameras on their mobile devices. For example, Nokia has managed to squeeze 41 megapixels into the camera on its Lumia 1020. Both Apple and HTC have focused on increasing the size of the microns on the camera sensors of their respective iPhone 5S and One smartphones. In plain English, this means that these cameras are capable of absorbing more light than some of their rivals, which results in high-resolution photographs loaded with detail. We've come a long way from the 8-megapixel cameras of 2012's flagships, and today's smartphones are giving you more reasons to discard your aging point-and-shoot and ditch the idea of investing in a pricey dSLR. Here's a look at some of the most amazing images from across the web that you wouldn't believe were taken with a smartphone. 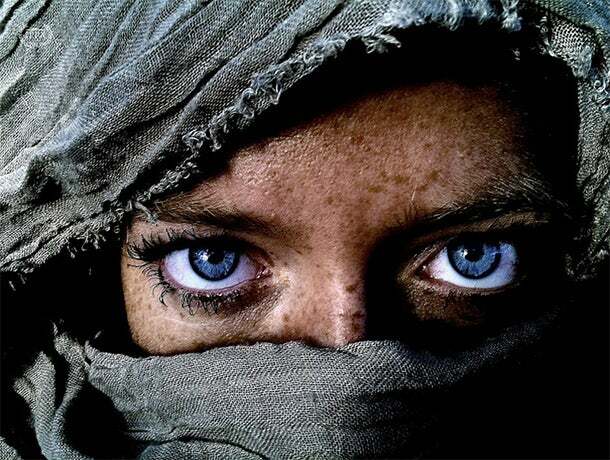 This image by Kim Hanskamp won first place in the People category for 2013's iPhone Photography Awards. Most of iPhone photographer Hironori Mizuno's Instagram photos consist of colorful, surreal images like this. This photo by Kartikey Smita Karnatak was taken with a Nokia smartphone and was featured on the company's blog. Dutch photographer Eelco Roos frequently posts travel photos taken with his iPhone to his Instagram account. This is one of the few recent indoor shots in his gallery. Photojournalist Michael Christopher Brown took this photo as he was documenting the Central African Republic for The New Republic magazine earlier this year. He primarily shoots with his smartphone. This image by Nosyaj Zeuqram was taken with a Nokia smartphone and was also featured on the company's Conversations blog. New York-based photographer Kirsten Alana's Instagram feed is filled with vibrant, colorful outdoor shots with incredible composition and depth. Here's another one from iPhone photographer Eeclo Roos' feed. This is a portrait in Michael Christopher Brown's series covering the province of South Kivu in the Democratic Republic of the Congo. Marketa Pfleger earned an honorable mention for the Lifestyle category in the 2013 iPhone Photography Awards for this photo. Multimedia journalist Richard Koci Hernandez's Instagram account is flooded with dramatic black and white photographs like this. Many of photographer Simone Bramante's images involve a subject in action, whether its mid-jump or climbing a ladder. Quite a few of them also seem to be shot from a first-person perspective. This photo by Angel Jimenez captures a radiant sunset by the water. It won first place in the Sunset category in the iPhone Photography Awards. David Maialetti, a Philadelphia-based photojournalist, uses an iPhone to capture all of the stunning images in his Instagram feed. Another captivating image from iPhone photographer Hironori Mizuno's Instagram feed.